Although procedures like breast augmentation and tummy tucks are popular and seem to steal the plastic surgery spotlight, there are a number of reconstructive plastic surgery procedures whose benefits are not merely cosmetic. South Carolina plastic surgeon Dr. Ted Vaughn is board-certified in plastic and reconstructive surgery, and he is one of the few South Carolina plastic surgeons who is additionally certified in hand surgery. 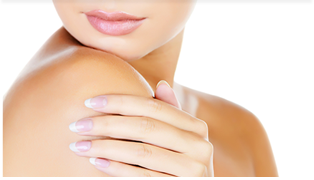 Dr. Vaughn and the team at Piedmont Plastic Surgery are proud to offer reconstructive plastic surgery procedures that help patients receive both functional and aesthetic benefits. Please call 864-223-0505 to schedule a consultation. Dr. Vaughn has extensive training and proven experience in reconstructive plastic surgery, including endoscopic procedures. If you are considering reconstructive plastic surgery, please contact Piedmont Plastic Surgery online or call 864-223-0505 to schedule your personal consultation with Dr. Vaughn. We welcome patients from Greenwood, Greenville, Anderson, Columbia, and Laurens, South Carolina, and August, Georgia.